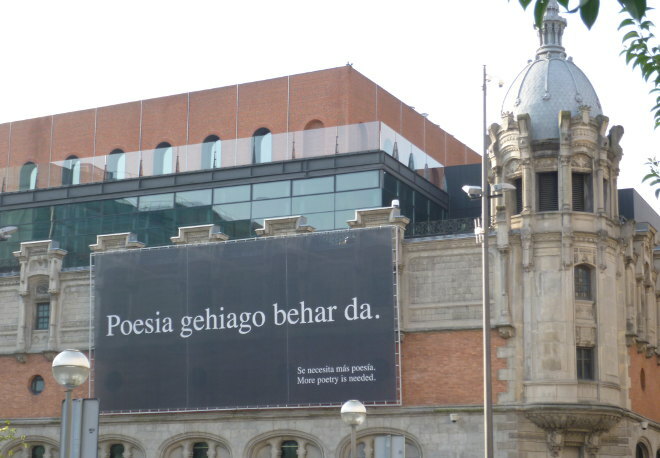 I spotted this billboard in Bilbao, and was charmed by the statement: More Poetry Is Needed. So helpful that they included Spanish and English translations from the Basque! If you were presented with a billboard to fill with the statement of your choice, what would you choose? Alternatively, invent an intriguing declaration, then imagine the person who devised it, and what prompted them to invest in a billboard to share it with the masses.